The process of transforming schools in Lithuania is ongoing. At first, the assumption was that since 1st September high schools should be eliminated from the educational system: they ought to become junior high schools or else they were threatened to be degraded to the elementary school status. Demonstrations, meetings and assemblies organized by school communities and national communities, prayers for preservation of the former schools’ chain caused that the Seimas of the Republic of Lithuania postponed the necessity of acquiring the accreditation by the middle schools. 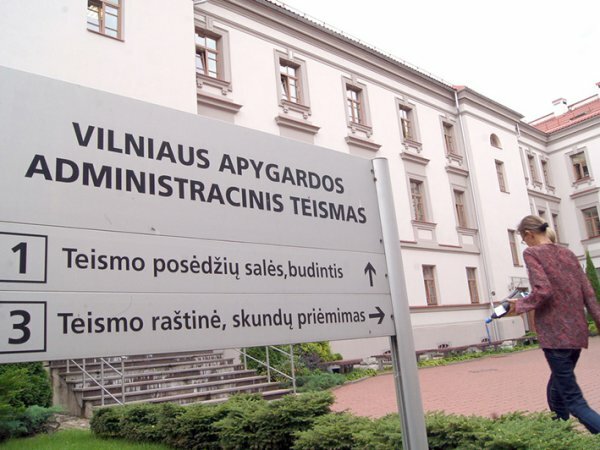 New Vilnius authorities attempt to reduce the chain of schools of national minorities operating in the capital against the amendments to the Law on Education accepted by the Seimas of the Republic of Lithuania. The government, which protects Lithuanian schools, aims at degrading Polish and Russian schools to the lower level. The events, such as when the Lithuanian school was given the consent for obtaining the status of junior high school and the national minorities’ school heard the refusal, are a fact. After meetings, assemblies and protests, the time for court proceedings has come: schools and communities of 12-grades’ schools threatened with the degradation to the primary school level fight for their rights in courts. First statements favorable for minorities’ schools have passed. As we informed, in summer, Adam Mickiewicz Junior High School in Vilnius won in court with the city’s council: the Lithuanian Court suspended the controversial act of the capital council considering non-completion of 5th grades in this Polish educational institution from the new school year. Last week, Vilnius Regional Administrative Court accepted the statement favorable for the Szymon Konarski Polish middle school in Vilnius. The Court took into consideration the points of parents and suspended validity of the acts of the Vilnius council; thus, the Szymon Konarski Polish middle school in Vilnius will remain the 12-grades’ educational institution for at least 2 years. Today, „Centro” middle school in Vilnius with the Russian language teaching gained the official statement of the Vilnius Regional Administrative Court. The Court suspended the validity of acts of the Vilnius council as of 15th and 29th July 2015, by force of which „Centro” middle school in Vilnius was to be degraded to the elementary school’ level since 1st September. The uncommon situation is that during the court struggle, which is conducted by the threatened schools in Vilnius, courts decide otherwise – despite that the situation in schools and other circumstances are almost identical. Other schools – Polish and Russian – continue court proceeding, place summons and believe in winning.